If you are constantly dealing with weather elements and have issues with filtering and sediment build-up, you need a sediment filter bag that is dependable and safe for curb inlet filtering or for protecting your storm grate. The extensive line of Dandy Products will give you the answers you are looking for to control sediment and protect your inlet. Dandy Products are built with safety first in mind. Without a doubt, sediment is the leading pollutant in water that comes from construction sites. When you choose a Dandy Product, you are going to see an amazing difference immediately. Containment, safety, and cleanup are the most important issues on constructions sites. Anyone in construction knows how imperative it is to keep their sites clean. A construction site must be able to operate by protecting the environment as well as the surrounding areas. A construction site that is not clean and organized will lead to accidents, injuries, pollution, mistakes, low morale, and poor overall performances. These sites will also lead to higher expenses and run the risk of not passing inspections. Every one of these products will control sediment, construction debris, and, silt to various degrees, and filter them out of your stormwater systems. • Dandy Bag – used on flat grates and mountable curbs. 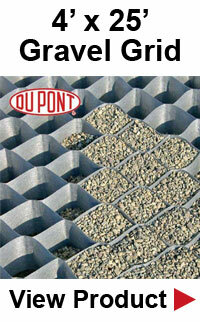 • Dandy Curb – this inlet filter is designed for median and curb inlets without grates. • Dandy Sack – developed to hang under a storm grate. • Dandy Curb Bag – an inlet filter for use on gutter and curb inlets. • Dandy Curb Sack – an inlet filter for gutter and curb inlets. • Dandy Pop – is used in field grates. It is designed to control the sediments that are discharged through the application of dewatering. This normally takes place when water is pumped. This bag captures debris and sediment while using the dewatering process. The elements will settle out of the slowed flow and then are captured in the bag. The oil contamination skimmers will skim and then absorb oil from the water. This product is made with an oil absorbent material that is inside the skimmer. It will easily grab the oil continuously and permanently. The effects of erosion and increase of sediments can be very serious. It can lead to flooding and the reduction of stream capacities. It will fill ecosystems with dangerous and hazardous materials. There can be a drop in water quality due to suspended sediments that are caused by the reduction of photosynthesis capabilities, blockage of sunlight, destroying animal habitats, the decline in plant growth, and additional pollutants. This has become a serious problem over the past few years that has ignited a need for controlling the loss of soil at construction sites. Construction sites are at high risk because they are large sites that are exposing soil and earth to the effects of storms. In the United States, regulations have been put in place to counteract this problem. Controlling sediment is critical in areas that have steep slopes or large, exposed areas that are minus grass or plant life. Even though smaller areas or flat terrain are less costly to deal with, but must be protected as well. Containment systems let particles that have been caught to settle out of the stormwater runoff. These systems are normally hydraulic controls that will slow down the water's acceleration and then allow gravity to suspend particles. Sediment control systems are structures or devices or a combination of both such as sediment basins, sediment ponds, and traps. Sediment containment structures offer large storage for sedimentation and can handle the incoming water. Silt fences are often used on construction sites where soil has been turned or loosened making the soil even more susceptible to erosion. This application can prevent silt from running into streams, catch basins, or into the streets. Catch basins are utilized to filter silt from runoff water. Silt bags are made from a non-woven geotextile that is placed over the pump outlet hose and then collects the silt into the bag. Another avenue is a synthetic fabric curtain that is suspended in the water to restrict the silt runoff water from getting into the ecosystem. It is then collected before it can be carried away. It is not always possible to retain the runoff water at construction sites because these sites will demand larger containment areas and volumes. Infiltration and evaporation may not be enough to drain the system before the next storm hits which will lead to flooding the site. Sediment can be controlled with temporary DMPs that are found on the sites in some instances. That said, it is recommended that you get with a sediment control specialist before finishing any construction project. Inlet filters trap sediments and thereby control the levels. These filters should not be considered as more than a temporary solution when surrounding soil has been turned over or disturbed. These filters will keep soil out of storm drains when it's raining. It is imperative to keep drinking water used by cities safe and undisturbed. This is one of the reasons these filters have been created. They prevent silt from getting into the inlets, the storm drains, and the recovery channels. Please feel free to view our video to watch these filters in action. Construction sites are well aware how important it is to keep debris from coming in contact with groundwater. In any situation where soil has been turned over or disturbed, it can be very easy for debris to make its way into groundwater. While these filters will allow water to pass through, the filtering is small enough to stop silt, debris, and dirt from entering, no matter how slow or fast the water flows. There are several filters to choose from depending on the flooding or rainfall and the speed of currents from low to medium to high. 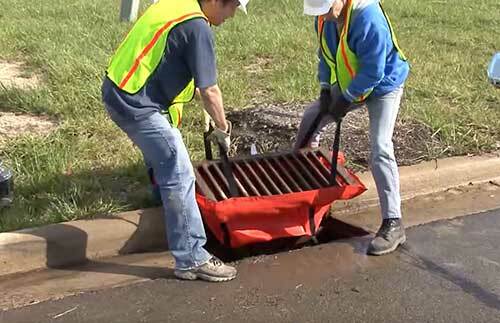 There are surface curb filters that are perfect for large projects including basins. Another alternative for the protection of stormwater is an inlet tube which can be either weighted or non-weighed. The weighted tubes do not have to be staked into the ground in order to keep them in place. In most cases, they are placed on top of the gravel, asphalt, or other hard surfaces. These tubes are perfect for construction areas with a great deal of traffic around openings where water will enter. These tubes can be used in other places such as grass or brush and are normally tied down with stakes. Constructing barriers made with a porous fabric around an inlet will protect from sediments entering while allowing water to flow through the drains. You can choose from specific filters to capture certain commercial or industrial pollutants including hydrocarbons and metals or other best management practices including pre-treatment for given contaminants before allowing water to move directly into the ground. Keep in mind, while there are many different filters to choose from, it's always advisable to consult with professionals before deciding on what will work best for erosion control and prevent the spreading of harmful contaminants. There are several good quality inlet protection companies that have the knowledge and experience to ensure that a construction company is in compliance with the Clean Water Act. This will prevent a construction site from dealing with costly fines brought on by state inspectors.